Small evergreen suckering shrub with upright stems that are distinctively purple flushed when young. Long narrow dark green leaves, often with a purple-pink flush. 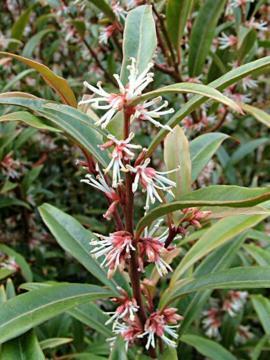 Winter flowering with a very strong, sweet fragrance. Small black berries later.